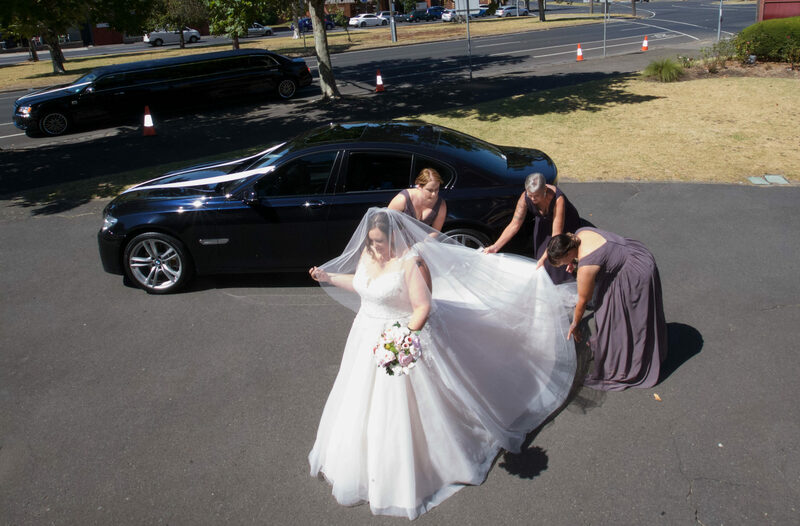 Glamour Ride Wedding Cars and Limousines provide a professional and friendly service for the wedding industry in Melbourne and we pride ourselves on making the wedding day as smooth as possible for the Bride and Groom. We will provide you with a wedding day run sheet so you can plan the activities from the pickup, to the wedding service, through your photo locations with your wedding photographer, and then arrive safely at the wedding reception. We will also be happy to pick you up after the reception and take you to your hotel or other place of choice if required. Our beautiful wedding cars are all black Chrysler 300c Sedans or Limousines that have beautiful chrome rims and white ribbons. Both the limousines and wedding cars feature a range of modifications that set them apart from the rest but stay within the theme of weddings and will complement your wedding photography. to see how he can assist with your wedding day transport needs. Our Chrysler Limousines are spectacular stretching 8.6 meters long and has 20’ chrome rims; Bentley grille and amazing Lamborghini style front doors which will immediately turn heads. 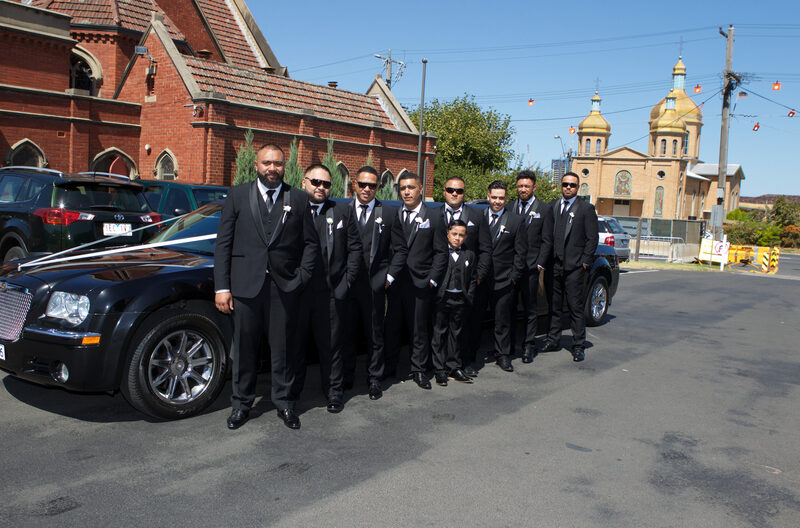 Glamour Ride Wedding Cars and Limousines provide a professional and friendly service for the wedding industry in Melbourne and we pride ourselves on making the wedding day as smooth as possible for the Bride and Groom. 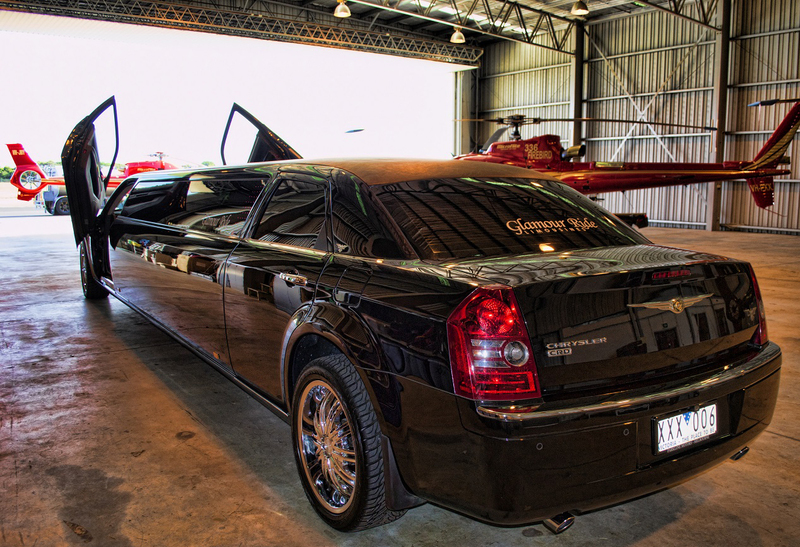 Our Chrysler Limousines are spectacular stretching 8.6 meters long and has 20’ chrome rims; Bentley grille and amazing Lamborghini style front doors which will immediately turn heads. 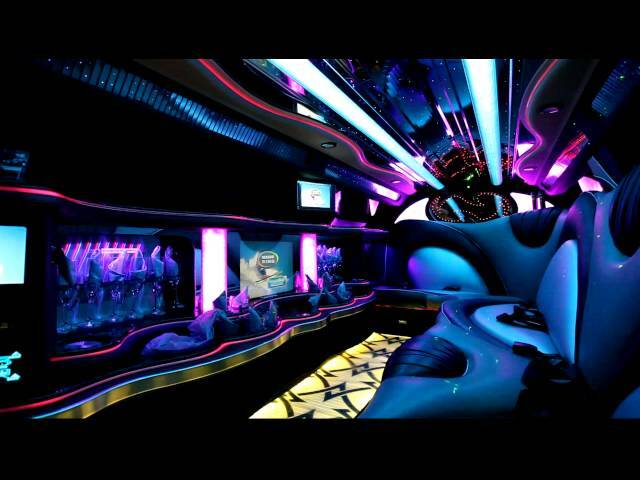 The inside is even more stunning with an array of crazy lighting including laser, neon, strobe, bar, ceiling and a disco floor. Whether your special event is a wedding, formal, debutante or tour, Glamour Ride's Chrysler 300c Stretch Limo will be the perfect addition to enhance your experience and to provide opportunity for ever-lasting photographic memories. Hire us now! 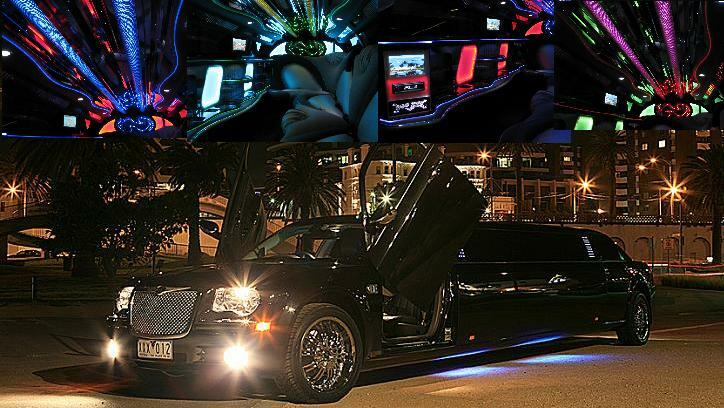 Spectacular is the best way to describe the Glamour Ride Chrysler 300C Super Stretch Limo. The outside is amazing with its 8.6metre chassis, beautiful black paintwork, sick Lamborghini front opening doors, under body multi colour neon lighting, a chrome Bentley grille and rolling on 20inch chrome rims. The interior has to be seen to be believed! Lights galore, including strobes, neon’s, fairy and laser light. The bar, ceiling and floor also have bright lights that change colours and look mad. The sound system is easy to use and damn loud and has capacity for you to plug in your own music device or you can listen to our range of funky cds, dvds, and radio. We provide bottles of wine and water on ice in the bar as well as some mints and lollies. 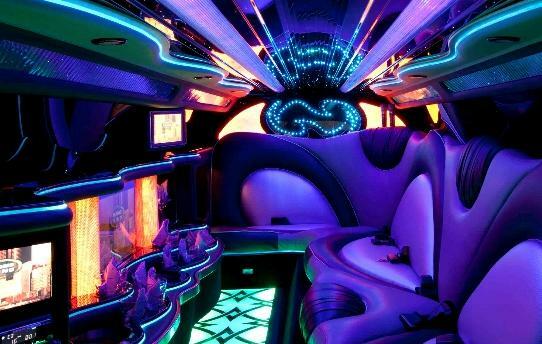 Plan your Chrysler Limo Glamour Ride now by calling 0403 36 36 37 who would love to talk to you about your special event. School Formals are a special time and a celebration for students in their final year. 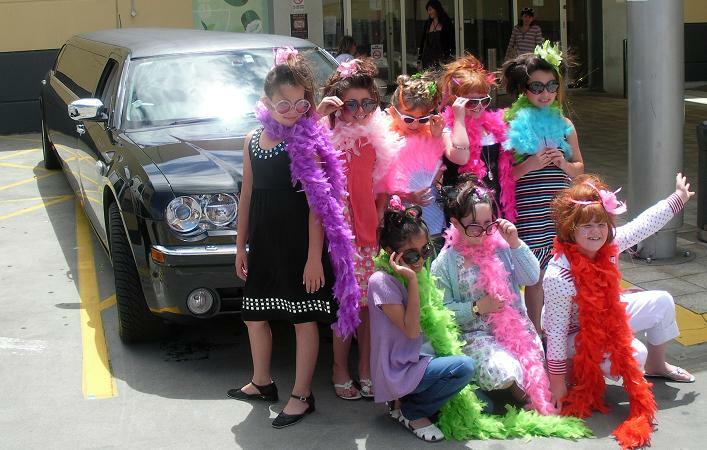 Students dress up and often like to arrive at the School Formal Venue in a group of fellow students and in a limousine. 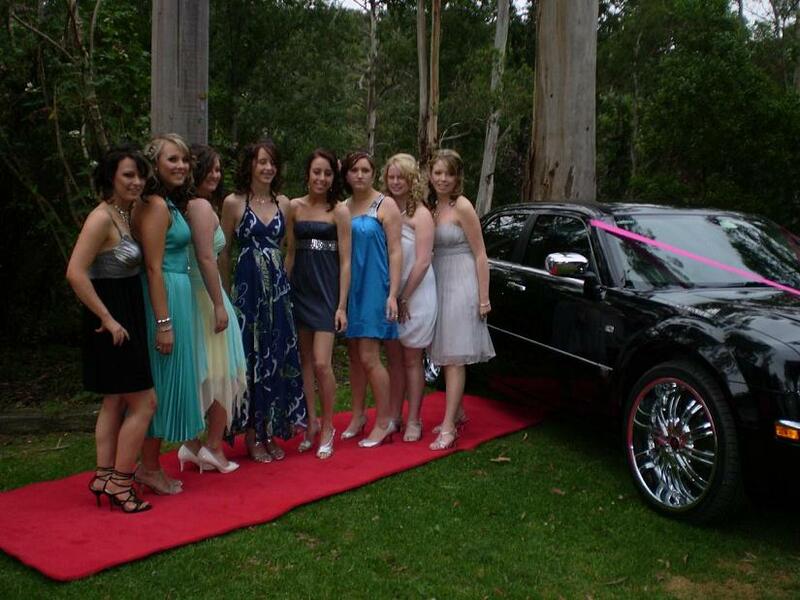 In the last years of school a Debutantes Ball is a massive event which is complemented by the arrival of the Debutantes and their partners in a classy limousine. Childrens Birthday parties have come a long way since the days of the McDonalds Birthday Party with the traditional ice cream cake with candles on it. The girls deserve a good night out so line up your besties and get on board our Glamour Ride Limousine to get your night out cracking!. Having a Birthday soon, or have a friend or relative who is having a birthday? 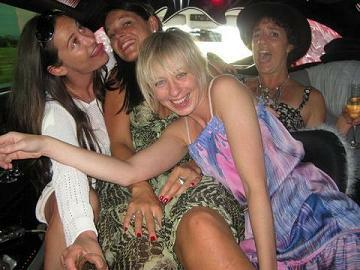 Why not surprise them with a Glamour Ride Limousine Hire. Boys Nights Out of Melbourne are usually heaps of fun as the boys go hit up the crazy activities that are available in Melbourne. 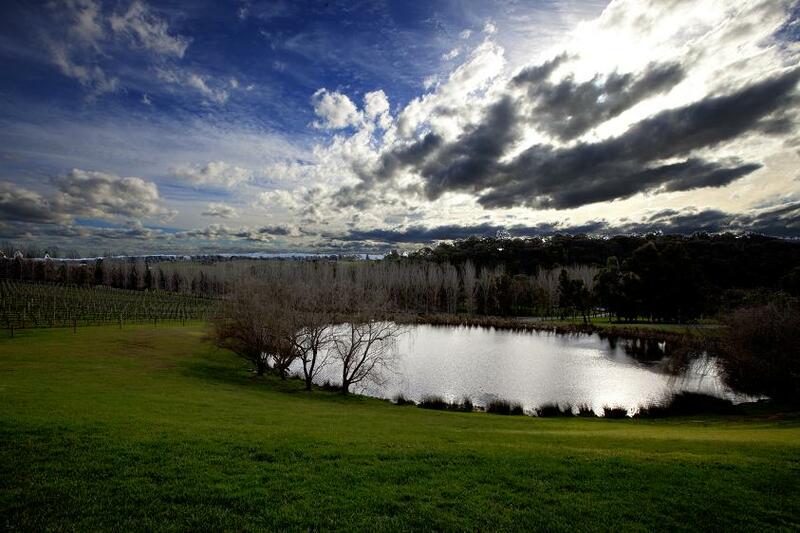 The Yarra Valley of Victoria is one of the most scenic destinations and is often overlooked. 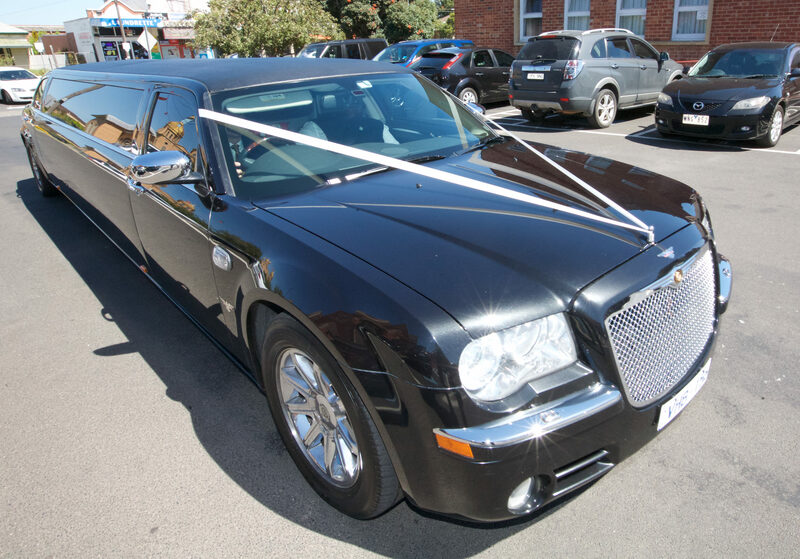 Glamour Ride Limousines have been operating since 2007 offering luxury transport around metropolitan and regional areas of Melbourne. 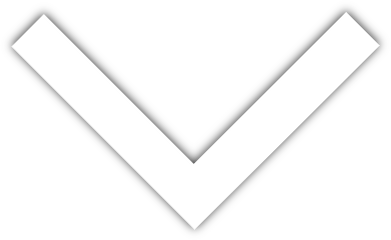 A BIG THANK FOR THE SERVICE ON SATURDAY. THE CHRYSLER LIMO WAS SUPERB. OUR DRIVER FRANK WAS VERY HELFUL AND GREAT TO DEAL WITH. THE BRIDE AND GROOM WERE VERY IMPRESSED. THANKS FOR ALL YOUR, AN AWSOME DAY. OUR CHILDREN HAD AN ABSOLUTE BALL AND WAS THE BEST BIRTHDAY EVER ! CHRYSLER LIMO AND SEDAN LOOKED AMAZING ON OUR WEDDING. A BIG THANK YOU TO PETER AND HIS TEAM.